Fancy some micro plastic in your skin care, hair care and makeup? A huge range of skin care and personal care products contains micro plastics. 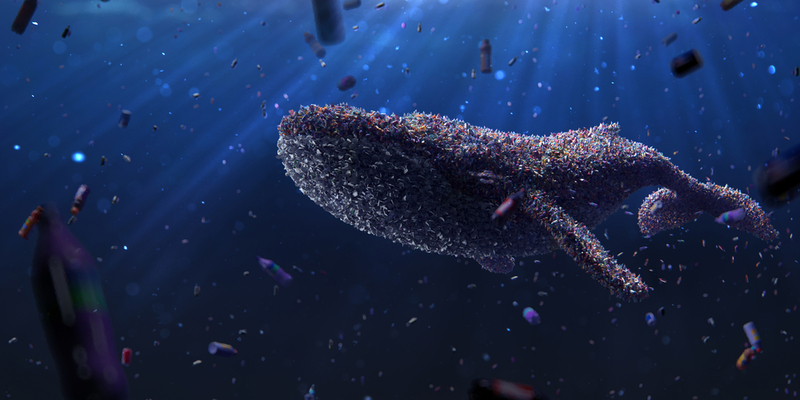 Microbeads are only part of the story. Like many people I was pleased to hear that the Australian government is proposing to phase out microbeads, those tiny pieces of plastic used as exfoliants in skin scrubs and toothpastes. If so, Australia will join the UK and the USA in banning these tiny plastic beads. But I was surprised to discover that microbeads aren’t the only micro plastics used in mainstream skin care. It turns out that many shampoos, conditioners, makeup, deodorants, and sunscreens contain other types of micro plastics, and none of these will be phased out with the microbead ban. This means that enormous quantities of these micro plastics will continue to wash into our rivers and oceans, long after the microbead ban comes into effect. We now know that micro plastics damage the health of aquatic life. Our government and the other governments banning microbeads have failed to legislate to ban these other micro plastics. They will continue to be washed down our drains - in enormous quantities. What plastics are in my skin and hair care apart from microbeads? A range of micro plastics is used in personal care products - but most people do not have the knowledge to identify them from the ingredients list. What’s more, any product approved by the TGA, like sunscreen, needs to list only the active ingredients, which means the micro plastics in these products will be hidden from the average consumer. Micro plastics are defined by most scientists as any solid phase, non degradable plastic smaller than 5mm in size. We have included a list of some of the micro plastics commonly used in cosmetics and personal care at the end of this article. The microbeads, identified as ‘polyethylene’, are one of only 22 types of plastic used in these products (list taken from this site ). Why would anyone put these plastic molecules in personal care products? Good question! Why don’t cosmetic manufacturers just use biodegradable ingredients? I guess the answer is that our expectations of cosmetic products have changed over the years. We want waterproof sunscreen, mascara that stays on forever, creams that don’t melt or separate when they get hot, moisturisers that feel ‘dry’ on our skin, foundations that smooth out wrinkles, hair products that keep our hair in place, and conditioners that leave our hair silky. It's clear that these products come at a high price. What’s the problem with micro plastics? When a new ingredient is introduced it is tested for safety for humans (sometimes on animals), and for toxicity in the environment (sometimes on fish). Although most plastics may not be directly toxic to marine life, recent studies on marine mussels, lugworms and copepods have shown negative health effects of exposure to microplastics, while photosynthesis in green algae was reduced (summarised here ). The full extent of the effects of micro plastics on marine life is still unknown - the work is still being done. However, we do know that when micro plastics enter marine environments they readily absorb persistent chemicals, including the polychlorinated biphenyls (PCBs) that are hormone disrupters, and polybrominated biphenyl ether (PBDEs), a class 3 carcinogen that may also have other health effects. In addition, micro plastics themselves are not designed to be safe for consumption, yet they are readily ingested by feeders at the bottom of the food chain. The full extent to which the health of marine life, and fish-eating humans, will be affected by the presence of micro plastics in our oceans is still unknown. But the signs are not good. Choose your personal care products carefully. Check the ingredients list to see if any of the chemical names in our list below are included. If you’re not sure, write to the manufacturer and ask them. Certified organic products should be safe: organic certifiers do not permit the inclusion of plastics. Check out the ‘Beat the Micro Bead’ website ( here ). They have lists of personal care products that show which ones contain plastics and which do not. You can also donate to their cause to help increase awareness of microplastics in personal care products. Reduce your overall consumption of plastic - all plastic has the potential to end up as micro plastic, and we have all seen the damaging effect of large pieces on sea life. The fantastic organisation Plastic Free July gives lots of tips and information on how to do this without pain. Let’s lobby our government to ban all micro plastics from personal care products, not just microbeads. Banning microbeads is only tackling part of the problem.